Ask ANY Cabin Crew and they will tell you they have the best job in the world! The travel, friendships, adventure..it’s a world away from a boring office job! 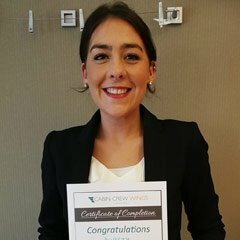 Our ‘Get a Cabin Crew Job’ training will take you behind-the-scenes of a cabin crew career, teaching you everything you need to know about the job and training you to pass the recruitment process– all in just ONE fun weekend!! Spending a weekend with us will MASSIVELY fast-track your career. There are plenty of cabin crew courses which take 6 months or more to complete (and a lot more money), but there is NO ADVANTAGE to doing it this way. It will just fill your time for longer. In terms of being able to walk into a new job with an airline as soon as possible, our 2 day course is JUST AS GOOD as a much longer course. It just depends how quickly you want to get your exciting new lifestyle off the ground! This ground-breaking training covers everything you need to know about the industry, the role and, passing the challenging selection process. 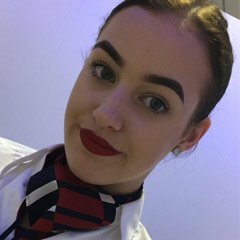 Our team are cabin crew who still work in the industry, and experts who specialise in work psychology. We have developed an incredible training weekend unlike anything else available! The first day is jam-packed! It’s a great way to gain awareness of the role, experience challenging and everyday scenarios and gain an insight into the skills you will need for the role. This will impress your interviewers and demonstrate your commitment and aptitude for a career as cabin crew. 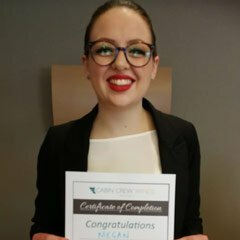 We get you off the ground by meeting our certified and experienced cabin crew trainers (who have all worked or are still currently working as crew for a range of airlines). Being on the other side of the PA system, making routine passenger announcements and learning what to say in an emergency. Having a go at a real safety demo, including using equipment and giving instructions. Real insights into airline life, the stories, the highs and what the lows might be. Taking turns to try important drills and procedures, both day to day and how to cope in an emergency. The basic skills you would need to save a life on board with our session on aviation first-aid, plus an insight into likely (and unlikely!) medical scenarios. Behind-the-scenes on customer service and how to meet the airlines’ expectations. Learning what it’s really like behind the scenes with different airlines, and how to decide which routes and aircraft might be best for you. The opportunity to get candid answers on lifestyle and travel, and how to get the most out of this unique career. All our students tell us how much more confident and inspired they feel after coming on our training! They love that they can go to their selection day with some realistic experience of the role. The behind-the-scenes insights are incredibly helpful for getting you 100% ready to step into your cabin crew uniform and owning the aircraft aisle! You will have extra experience to talk about during your interview, showing that you’ve done your homework and know what you can expect from the job, warts and all! You will be able to show your commitment to the career by attending the training, demonstrating that you are keen to learn and proactive about going after what you want. Above all our training is fun! We know it’s a big deal to go somewhere new for a weekend to learn new skills, so our team are the friendliest, most helpful and loveliest trainers you will meet! There’s no better way of sharing the training experience than spending the evening with your classmates. We can help with directions, recommendations and even discount vouchers to make sure you have a fun night out (as long as you’re not out too late!) Don’t worry, you will have a chance to get to know the class before the training as we’ll introduce you all in a private Facebook group. The day will include plenty of practical exercises and quizzes so you will learn without you even knowing it! 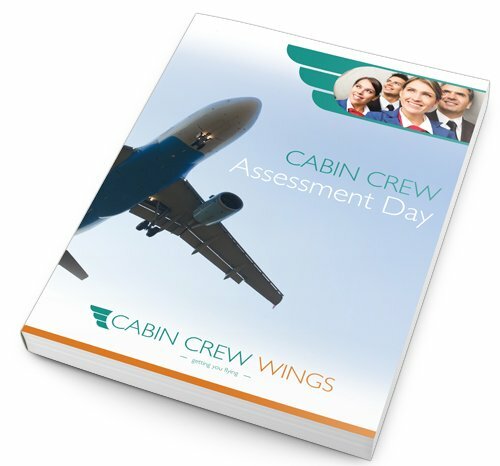 You will really improve your skills and feel more confident about your airline assessment, plus our cabin crew trainers will be able to point out the best ways to answer questions and tackle the different tasks. Brands and behaviour- are you a good match for your favourite airline? Latest interviewing methods and how to prepare show-stopping answers to make your interviewers take notice! Practice of key customer service and passenger- based scenarios – the routine and the unexpected! Above all else, our weekend training is great fun! It provides the opportunity to work with industry personnel & like-minded people, and with our special equipment and ‘aircraft in a classroom’ you will have everything you need to land the job of your dreams. Once you have booked you will be given plenty of information to help you arrange your travel and accommodation at the training, and if you need any extra help just give us a shout! It’s not always easy to remember everything you cover on a training course, and ours is so hands-on you might not have time to write as many notes as you’d like. Our Assessment Day E-book is FREE , so you can enjoy the course knowing you have all the reminders you need to help you prepare for your selection day. The e-book will arrive by email, so no waiting around either! Send in your CV and we will check it over FOR FREE to make sure it is the very best it can be. Once you are happy with it we will add it to our jobs board, where recruiters search for the Cabin Crew applicants they want to invite to interview! Stay in touch with us as you go through the nerve-wracking job application process. We’ll be there with friendly support and to answer any questions until you land your dream job. We will add you to our Facebook group where you can stay in touch with all the friends you met on the course. Plus you can ask questions as you go through your selection process and answer others as they go through theirs! It’s a great community sharing stories, inspiration and attending useful ‘Facebook Live’ events. At the completion of the training programme we will award you with a certificate to take with you to your interview. This will show your future employee how motivated and committed you are, and lists some of the skills you learnt with us on the course. Am I too old? No! 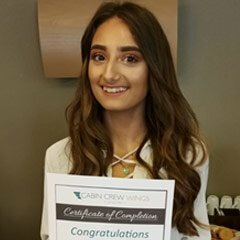 We’ve had 18 year olds and 55 year olds on our courses, and both have gone on to get cabin crew jobs! Can I afford it? 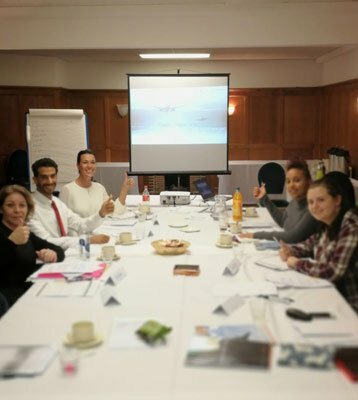 With at least 16 full hours of practice, learning and feedback with two hands-on and incredibly helpful trainers at a comfortable hotel venue, the course works out as only around £10 per hour. Its fantastic value for being able to effortlessly walk into a cabin crew job without the stress or worry! Will I be able to keep up? Our trainers are very experienced, and are used to working with people with a range of different languages and backgrounds. If you have any concerns just let us know and they will make sure they give you as much support as you need. Do you get any men on your course? All the time! There are generally more women, but we also usually have at least a couple of men on each course too. 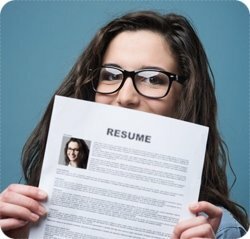 Will I get a job at the end of it? If you follow the advice we share, give 100% on both days and apply to a range of airlines there is every chance you will get a job. 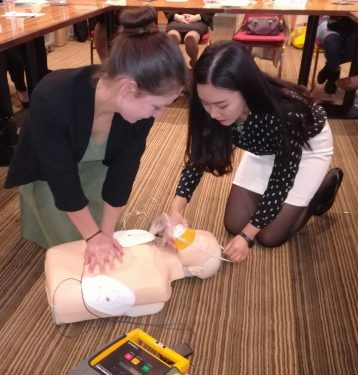 We have a 50% success rate from the course, but not everyone who attends goes on to apply for a job and not everyone ends up using the new skills and knowledge they have learnt. So what you get out of it depends what you are prepared to put in, but in our experience, for those attendees who work hard to get a job with our help, it does pay off. Interested in our training but are unable to travel? Our new online course allows you to learn everything you need to know about becoming Cabin Crew…but all from the comfort of your own home! Just click here to read more about what is covered on our online course. 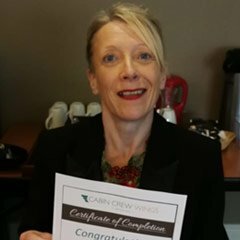 We offer a full money back guarantee on our 2 day Cabin Crew Course. Simply speak to one of our trainers on the first day of the course to let them know you are not satisfied and give us some feedback so we can improve.